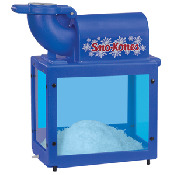 Cool off the hottest events with Sno-Cones! A guaranteed favorite, this will have your guests lining up. Includes 50 snow-cone cups, cherry and blue raspberry flavors. $7.50 for each additional flavor/25 servings.